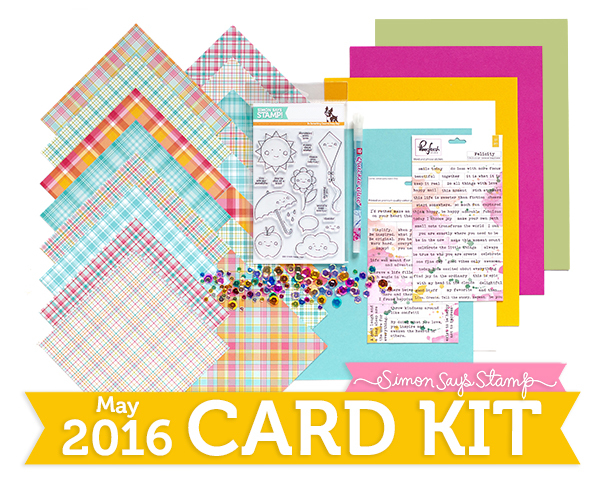 I'm popping by real quick to announce the winner of the Simon Says Stamp May 2016 Card Kit. Such a cute card! I love those awesome plaid papers. Thanks for sharing your wonderful creativity. Congrats Patt! 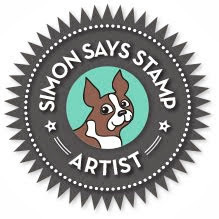 Please email me via the email button on the sidebar with your mailing address so I can pass it on to the great folks at Simon Says Stamp. Simon Says Stamp Card Kit: Celebrate the Little Things, Giveaway, and Blog Hop Winner! I'm popping in to share a final card using the adorable Simon Says Stamp May 2016 Card Kit. 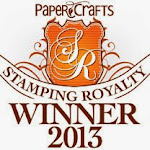 Before I go I wanted to mention that the winner from my stop on the Simon Says Stamp My Favorite Blog Hop is Charlanne Bittinger! Congrats Charlanne! Simon will be in touch with you! Simon Says Stamp "My Favorite" Blog Hop with GIVEAWAY! 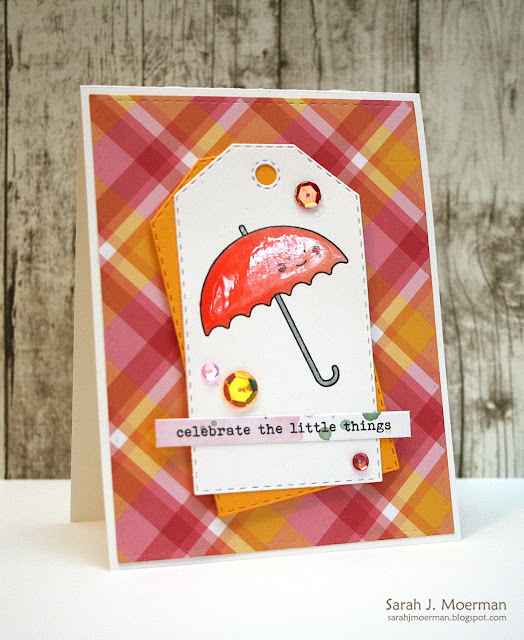 Today I'm honoured to be participating in the Simon Says Stamp My Favorite Release Blog Hop! The fun starts at the Simon Says Stamp blog. If you've been hopping along you should be arriving from the talented Anna-Karin Evaldsson's blog. 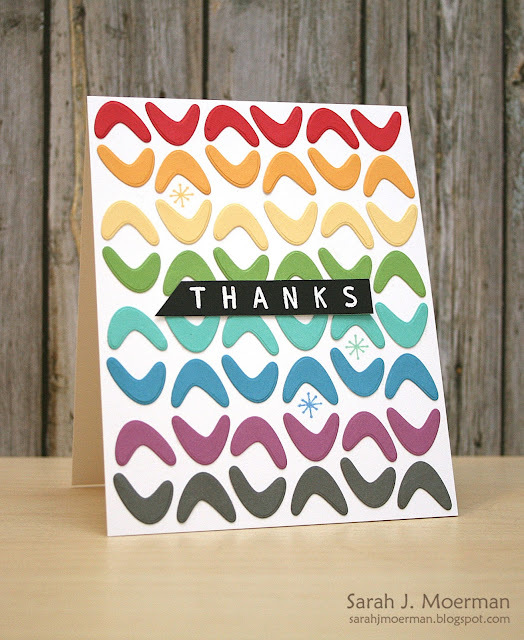 For this first card I used Simon's Retro Thanks Stamps and Dies, using a couple of the dies to create a rainbow background. I then used the matching stamps for my sentiment and to add a few 'embellishments'. 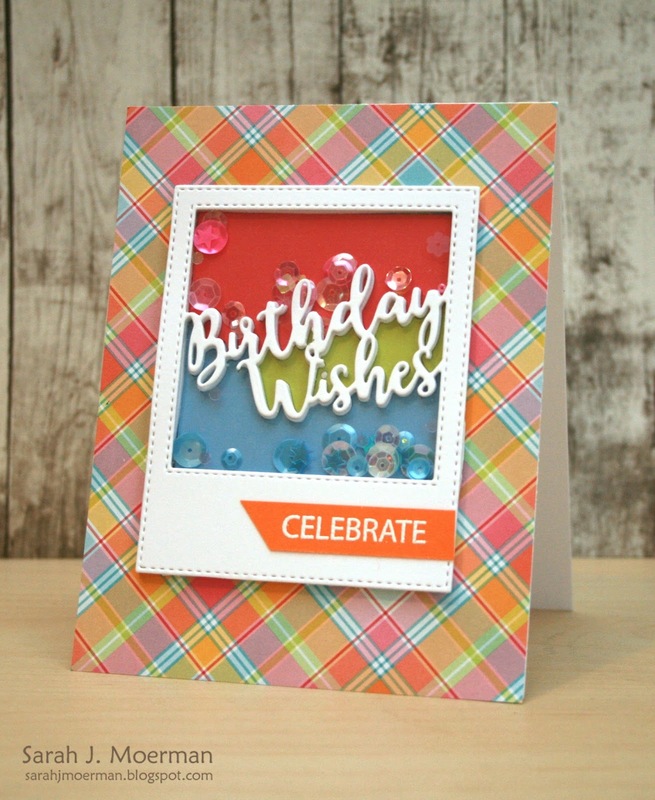 I used Simon's fun new Birthday Wishes Frame Die to create a colourful birthday shaker card. The great thing about the sentiment is that it goes across the entire frame so you have multiple pockets for sequins and/or beads. What's a blog hop without PRIZES?!?! Simon will be giving away a Simon Goody bag on every stop of the hop! All you have to do is leave comments along the way! Simon will randomly draw the winners and contact them via email. Winner will be chosen Monday, April 26th. Thanks so much for stopping by! The next stop on the hop is the fabulous Amy Rysavy!